Blog-Heating & Cooling-Does Home Warranty Cover Air Conditioning? Purchasing a new home is a big investment, so it’s nice to have a good home warranty plan in place to help cover any maintenance or repair costs during that first year. Many homeowners have great experiences with home warranties and even continue to renew year after year. However, there are many repair items that home warranties do not cover or only provide a small amount of reimbursement. When dealing with home warranty companies, many times homeowners also have no choice in the approved contractors coming out to perform work. So, while there are pros and cons., it’s good to know exalt what home warranties will assist with major appliances in eh home such as home air conditioners. Does Home Warranty Cover Maintenance Costs? Home warranties typically do not cover any preventative maintenance costs for home air conditioner systems. 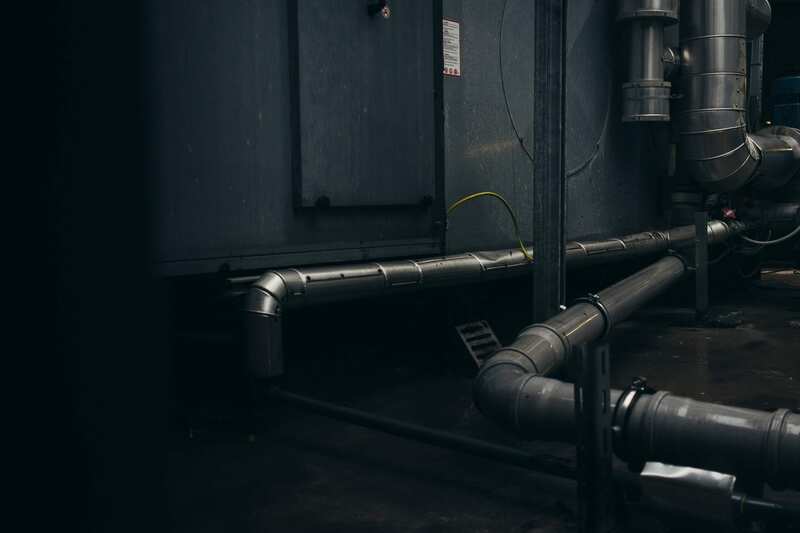 But, maintenance is integral to keeping your homes air conditioning system running at its optimal level as well as keeping the manufacturer warranty intact. It is challenging to determine if a home air conditioning system has had regular maintenance. When purchasing a home and checking on the home warranty that comes with it, homeowners should ensure that the AC unit has regular service records. 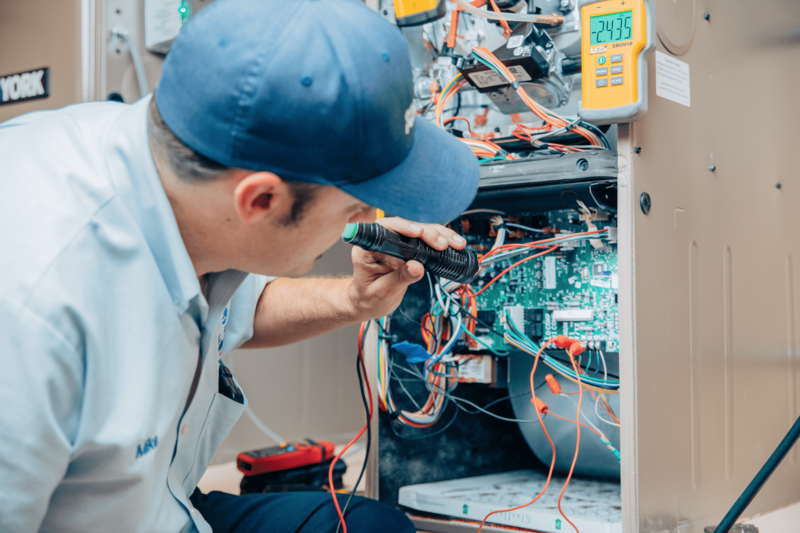 Home warranty companies do not cover this and in some cases, if the air conditioning system does not have maintenance records, they will not cover air conditioner repairs citing a lack of maintenance as the reason. 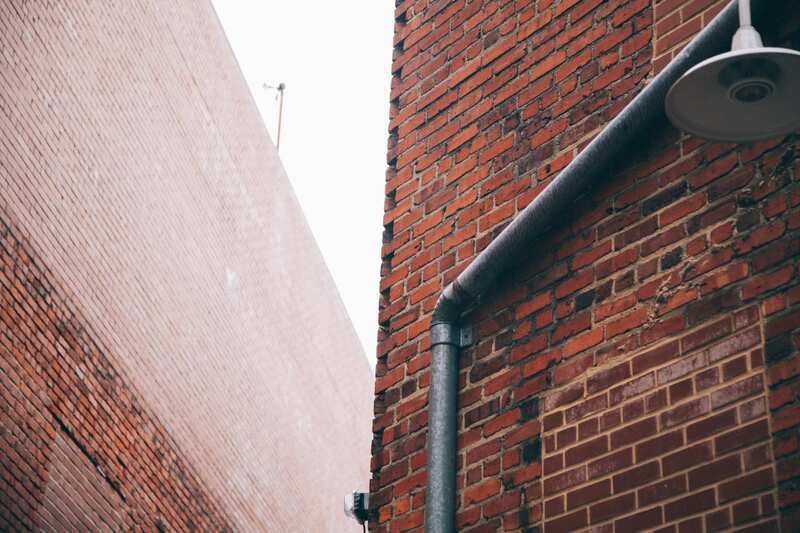 It is up to the homeowner to keep records and perform routine tune-ups if they anticipate utilizing the home warranty for any repairs or breakdowns of the system. How Do Home Warranties Cover Repairs? When your air conditioning system breaks, it is usually at the worst time, when you need it most? Preventative maintenance will help homeowners stay comfortable all year long knowing their system is working perfectly. But, when something goes wrong, it is an inconvenience and can be costly. 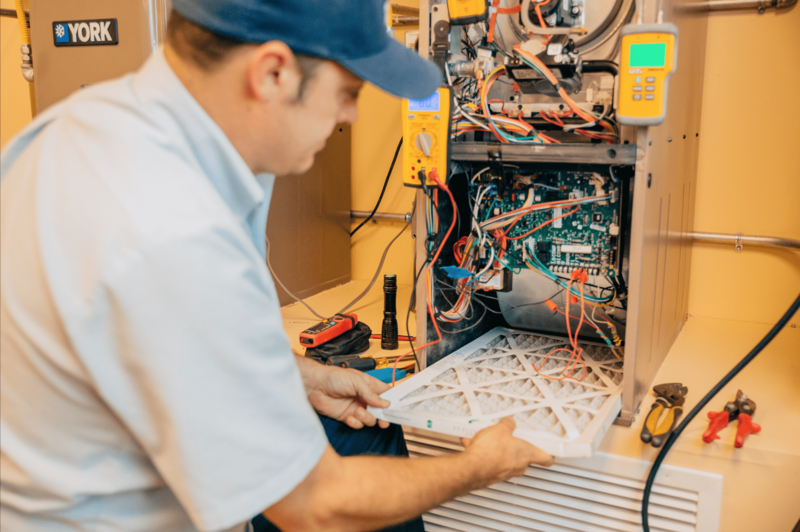 Home warranties will cover many repairs of a homes air conditioning system including replacing parts, changing out major components such as the condenser, and adding refrigerant. However, the amount they will pay usually does not cover the true cost a reputable contractor will charge and often homeowners are forced to go with home warranty company service providers due to their home warranty policy or to save money. What home warranty terms and conditions do not tell customers is that they use specific contractors, and they may not be the best rated. Home warranty companies do not have to use companies that perform complete background checks and may even use unlicensed contractors for minor repairs. Because home warranty companies do not stay in business by paying out claims, they save money by hiring the cheapest contractors and homeowners pay the price. If homeowners are using a home warranty for any contractor, they should insist that they receive the company name and check the contractor’s license and reviews. Homeowners can also ask the home warranty company to use their preferred contractor and ask for reimbursement. While the reimbursement may not cover all repair costs, homeowners can rest assured they are choosing a contractor that has an up to date license with no complaints, trained service men and women who will perform the job right and to safety and HVAC code requirements, a company that performs background and drug screens to keep your family safe, and contractors that use only the highest quality equipment. When looking for reputable contractors, check reviews, ask a neighbor, and look for signs they perform background checks such as Google Guaranteed Contractors. Bill Howe Heating & Air perform their own background checks, and also submits to a rigorous screening through Google so each customer knows their family will be safe and cared for by specialists that have passed the most in-depth background checks and drug screenings. Will Home Warranties Cover Replacement Costs? If a homeowner’s system has been properly maintained and still requires replacement of one or all components, a home warranty may approve the claim, but homeowners should do their own research on the contractors and products approved by the home warranty company. Choosing a licensed and experienced contractor and service technician is integral to installing a new heating & air conditioning system. Installation can be one of the main factors of how a system runs and if done poorly, it could mean the system will never perform as it should. The most important day of your air conditioning system is the day it is installed. Even though homeowners may save money by going through a home warranty company for replacement costs, they may regret it in the end if the products and service they receive are subpar. If homeowners want to choose their own contractor and brand, many home warranty companies will provide a partial reimbursement cost. Installing a new heating & air conditioning system is not cheap and likely a home warranty will only cover a small portion of a true quality installation. But, homeowners can have peace of mind knowing they have chosen the best air conditioning technician and company for the job. Most heating & air conditioning companies offer financing options to help homeowners make the right purchase for them without feeling the sting in their wallet. There are also options through the government, such as the HERO program, that will help homeowners upgrade to a high-efficiency system without breaking the bank. Homeowners should read all of the home warranty fine print before making any major purchases or decision when it comes to heating & air conditioning. When it comes time to renew a home warranty, homeowners can also schedule a professional heating & air technical to come and perform a safety check and preventative maintenance. The can determine how their current system is running and anticipate any major needs in the future allowing them to make the best and most improved decision. Homeowners can contact Bill Howe Heating & Air if they are in need of repair, a new installation, or just want a general maintenance and safety check. Bill Howe Heating & Air technicians are expertly trained and have over 40 years of experience within the company, so you know you are getting the best team for the job. Call 1-800 Bill Howe (245-5469) today for a free phone quote or to schedule a visit with one of Bill Howe’s air conditioning specialists.